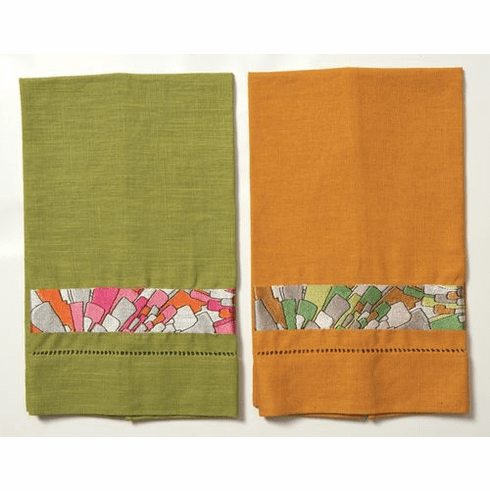 Beautiful quality linen guest towels with embroidered designs from Trina Turk. Trina Turk 70's inspired geometric design mosaic on linen guest towels. Set of two guest towels, linen hand towels measure 14 x 22".